Their Majesties the King and the Queen of Spain, Don Juan Carlos I and Dña. 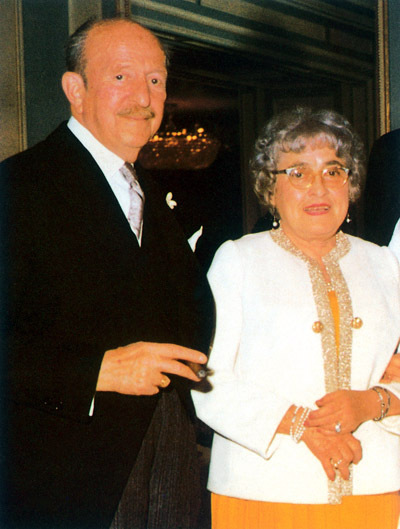 Sofía in the inauguration of the Oriental Museum on October 12th 1980. 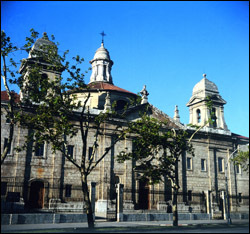 The Oriental Museum is the fruit of long commitment by the Order of Saint Augustine (view image) , first in the Far East and then in Latin America. 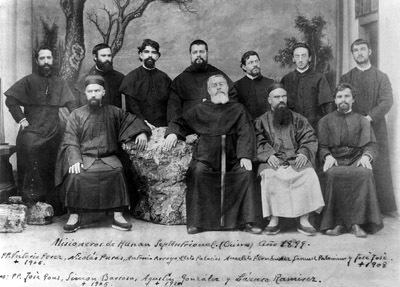 Since 1565 until today, more than 3000 Augustinian missionaries have been dedicated to cultural, social, human, and apostolic work in the East and in Latin America. 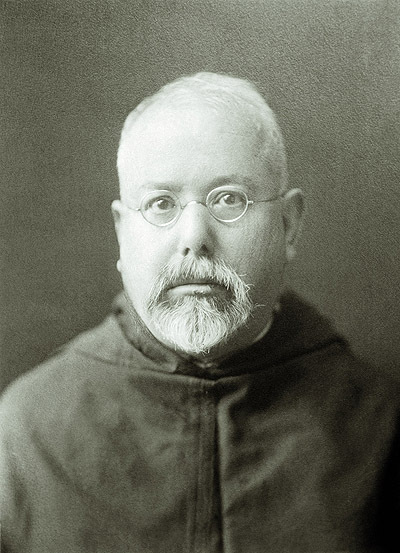 The seat of the Oriental Museum is the Royal College of the Augustinian Fathers – known locally as “the Filipinos” - in Valladolid whence alone more than 2000 missionaries left for the Philippines and China. Construction of the neo-classical edifice housing the museum was started in 1759 with the plans drawn by the great architect Ventura Rodriguez. The idea of the museum developed gradually, and in 1874 the Eastern wing of the monastery was allocated for this purpose. 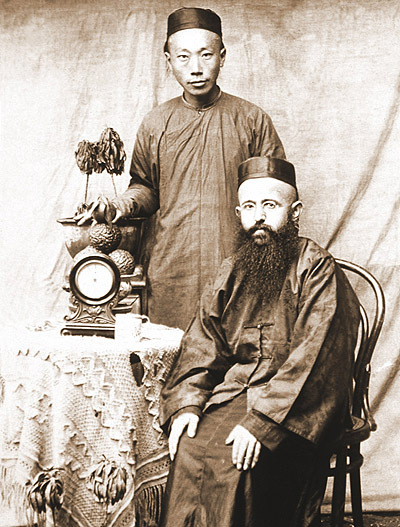 The Oriental Museum is the result of the cultural exchange realised by the missionaries. 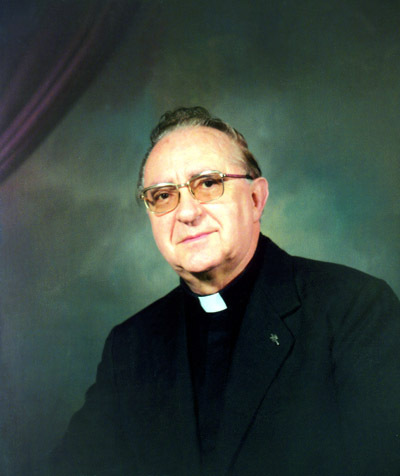 On leaving for the missions, they carried with them images, objects, ornaments, books and other necessary utensils for the apostolate, as well as for the social and cultural promotion of their work. Many died in the missions, and many others, on their return, brought with them typical ethnological and artistic objects of the cultures wherein they worked, with the purpose of introducing these items to the youth who were in training to substitute them. At the same time, these objects also served to shed a great light of the distant cultures in the West (view image). 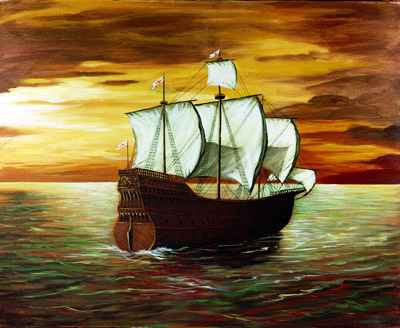 Initially, the missionaries took the roundtrip through Mexico, following the trajectory traced by the Galleon of Manila or the Galleon of Acapulco (view image). From 1869 onwards, since the opening of the Suez Canal, they would take this new route. 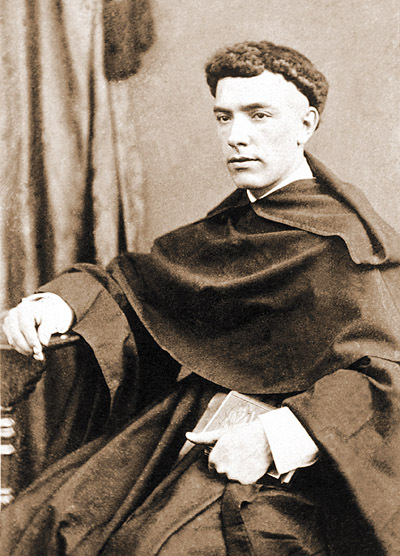 Given that the trip to the East was now shorter, more missionaries would return home -Pedro Pelaz (view image), Benigno Fernández (view image), among others-. 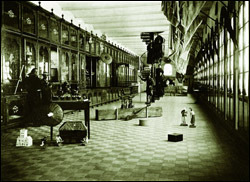 Consequently, toward the end of the 19th century, the collections of the museum would increase significantly. 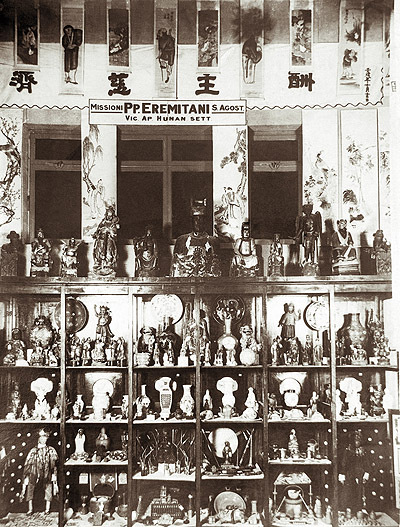 View of the old hall of the Oriental Museum in 1912. A good number of the artistic pieces was brought for the Vatican Exposition of Missions held in 1925 (view image). 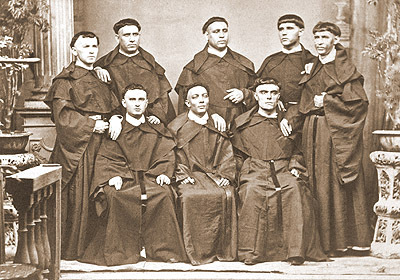 The Augustinians sent to Rome collections of art originating from several countries of the East and the Latin America. Once the exposition came to a close, some pieces would be transferred to the Vatican Museums and the rest would be added to the collections already existing in Valladolid. For the last twenty years, the Oriental Museum has been enriched by sundry hundreds of works from China, Japan and the Philippines. 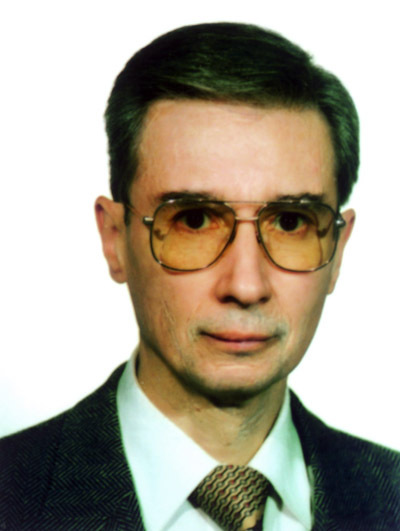 Besides the contributions made by various religious and the acquisitions made by the museum itself, a significant number of donations from the friends of the museum has enhanced the collections. 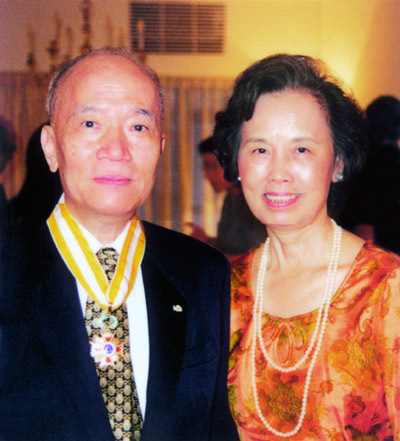 Among the main donors, one must recall: Dr. S. C. Cheng and Dr. Luana Cheng Tee (view image), Fr. 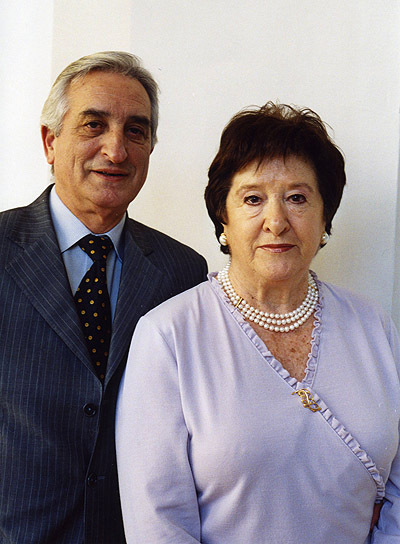 Nicanor Lana López (view image), Tita and Andrew de Gherardi (view image), Luis Mª de Emaldi (view image), Dr. José Antonio Villegas and Mª del Tránsito de Villegas, the sisters Teresa and Pilar Rioja-Padilla and the couple José Pedro Ibáñez and Guadalupe Urbón (view image). Today, by means of this museum, we Augustinians want to share with you the heritage of more than 400 years of missionary history. With this cultural endeavour, we do intend to serve all, and at the same time contribute positively to dialogue and peace, especially with the peoples of the Far East: in opening up and publicising, instilling and esteeming their great cultural and religious wealth.